Want to understand the ROI of a cloud HR system? The report sets out a comprehensive financial analysis and key statistics to understand more about the savings and benefits of HR technology investment. 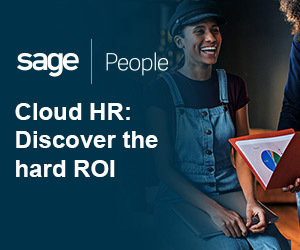 Download the report to get facts and figures on the ROI of cloud HR today. Implemented quickly and simple to use, the award-winning system increases workforce visibility, HR productivity and provides better experiences across the entire workforce.